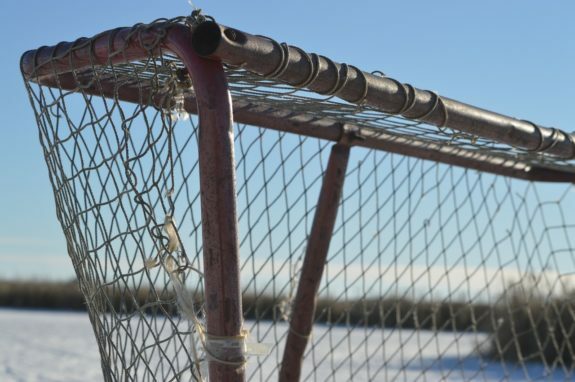 What Does 'The Athletic' Mean for the Future of Hockey Writing? What Does ‘The Athletic’ Mean for the Future of Hockey Writing? If you follow hockey with anything more than a passing interest, you have probably been hearing a lot about The Athletic lately. In September, James Mirtle announced the venture was expanding across Canada. Formatted to look like an old style broadsheet newspaper, the express goal is to build one of the largest sports media companies in the country. This is not just another foray into the wild world of sports-focused online content. The Athletic immediately hired Arpon Basu as editor-in-chief and then announced Pierre LeBrun as senior NHL columnist. They are launching in six Canadian cities and building writing teams that bring expertise and experience. In Montreal, they will compete with The Recrutes, a nascent subscription-based project started by Brian Wilde and Grant McCagg focused on the Montreal Canadiens. The Athletic has made a number of moves since launching in January 2016. Initially focused on Chicago, in the last year they have expanded to Toronto, Cleveland, Detroit, and now Montreal. More cities are coming soon. Focus areas at present include the NFL, NHL, MLB, and NCAA football. The list of new hires is staggering. As other media companies have cut ties with their former sports writers, The Athletic continues to bolster their ranks. Overall, this is good news. It’s exciting to see an investment of this sort in journalism. For example, new hires suggest Women’s Hockey will belatedly get more in depth coverage. While some national coverage is sure to creep in, it is not the focus. 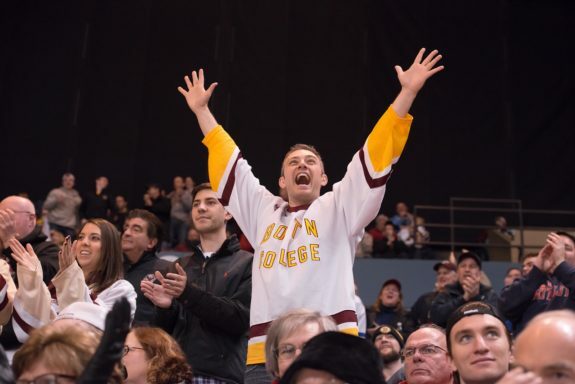 The goal is to develop a regional subscriber base of passionate sports fans. In sum, success requires converting this passion into a willingness to pay a monthly fee to have access to insider information. However, doubts have already started to emerge. Darren Heitner writing in Forbes observes that it is not clear how a startup offering “premium sports news and analysis” can succeed. There is significant evidence that most people cannot be persuaded to pay for news. Will they pay for sports? Many sportswriters I know hope The Athletic can prove the doubters wrong. However, this creates a paradox that sportswriters and their readers must confront. Funding content without advertising requires placing content behind paywalls. At the same, placing content behind paywalls stifles the sorts of conversations that allow sports opinion and analysis to thrive. To appreciate the disruption The Athletic represents, it is important to understand how many existing sports sites operate. The recipe is straightforward, but not simple. First, find knowledgeable fans that can string a sentence or two together and teach them the basics about avoiding overt plagiarism. Ensure this “content” can be optimized to get page views and teach writers to engage the power of hyperlinks. These sites, when they are successfully managed, can create a community of fans who get used to seeing their name in a byline. Over time, page views become the currency by which advertisers assess a site’s value. Forward looking ventures design revenue sharing programs to further incentivize content creation. Within this ecosystem, there are a wide variety of publication models. I was shocked the first time I found an article I had written copied, pasted, and placed on another site. There are a number of zombie sites that simply steal content and repackage it. However, taking content from an online source without permission is simply not an issue for many. For those with a financial incentive, the web is a veritable smorgasbord of content, just waiting to be plucked and repurposed. For example, some hockey websites and fan blogs try to cover breaking news, injuries, or trade rumors. However, most recognize that they can’t keep up with NHL.com, TSN, or ESPN. Instead, these sites emphasize fan-sided game previews, recaps, or highlight posts. Site managers explore novel ways to maximize Search Engine Optimization (SEO) by linking as many words as possible to other credible online content. Sometimes this involves encouraging authors to link new content to older content on the same website. The ultimate goal seems to be a perfect circle of self-referential links that, once started, amasses page views and clicks like a Rube Goldberg perpetual motion machine. I am only kind of kidding here. 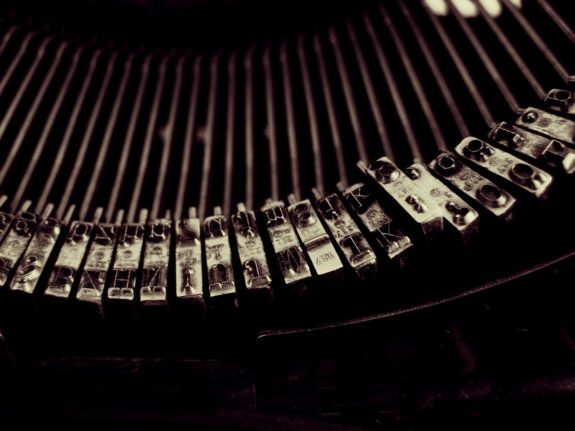 The best online sports publications (ahem) give authors significant freedom. Provided they have some talent and adhere to basic publication standards, authors are free to explore things that interest them. Historical pieces, longer player profiles, biographies, and more detailed analysis and opinions are all welcome. These outlets are certainly not immune to the siren song of page views. However, they are willing to publish more off beat and unusual pieces. By playing the long game, these ventures demonstrate an admirable confidence that they can and will stand out in the crowd. This is far more detail than is of interest to the casual fan. Embracing this level of fanaticism requires attracting a large number of subscribers in each sports market. 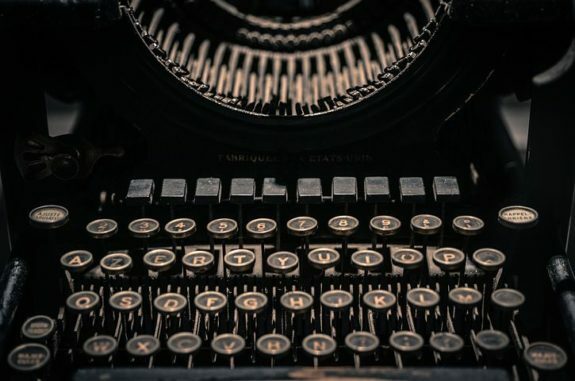 This ensures well-known writers can earn the sort of money they will demand. Fandom is many things but it takes a certain kind of fan to be interested in tracking each and every prospect day in and day out. This may be too daunting for many. Not everyone wants to dig this deep. Yet, The Athletic is suggesting this level of detail will lead to success. They believe they can do what literally no other publication has done. Moreover, they promise they will do it at a time when storied sports networks are jettisoning journalists faster than Presidential advisers are scurrying from the White House. There are at least three challenges for this venture. The first issue is around subscribers. Are there enough subscribers to make this thing viable? Put another way, are there enough people willing to invest in individual personalities to supplant the wisdom of the crowds associated with the metrics of page views? Founder and CEO Alex Mather told Forbes that The Athletic needs a bit less than 2,000 subscribers per team per market to break even. An annual subscription for the first year is discounted at $3.99/month. This is discounted from the regular price of $5.00/month. I’m no math whiz, but my count this means that the Athletic will have to make at least $100,000 to fund coverage of each team next year. At full price, the minimum climbs to around $120,000 in subsequent years, if you add those who opt for monthly subscriptions at $7.99/month. The Athletic, according to Mather, has already reached thousands-of-subscriptions in both Chicago and Toronto. It seems likely there will enough subscribers initially. The first year will be the easiest, of course. Media buzz and subsidized subscriptions will drive growth and attract investors. What happens in year three when the number of subscribers levels out and the demand for ever more content kicks in? Success in future years may depend on how the Athletic tackles the next two challenges. 2. Does Information Want to Be Free? When Stewart Brand made an off the cuff comment at a Hacker conference in 1984, he had no idea it would gain such momentum. Described by Steve Levy in Wired as a “dominant ethic” and “the defining slogan of the information age,” it is worth thinking about the quote in full. Traditional media outlets were based on the inherent truth of the first part of this quote. The value of the information being published in newspapers, journals and books have historically been recognized and this cost was built into access. The advent of the Internet embraced the second idea. As content moved online, everyone became a content producer. The value of different kinds of content and the credibility of the content creators have become blurred. While this is hardly original analysis, it is worth thinking about this idea in the context of The Athletic. They are embracing (not unlike their broadsheet format) a certain nostalgia in which experts provide analysis and opinion, and fans pay for access to this information. There are at least two questions here. If people do feel compelled to share the content out with one-to-two people, I think that’s okay as long as the subscriber base increases. In the early days, it’s about getting people familiar with the content. Early on, we’re okay with it. Ultimately, there isn’t a whole lot you can do from preventing people repurposing content. Some readers may recall HBO’s CEO famously suggested something similar to Time magazine. He stated that he didn’t mind that people share their log-ins to watching HBO shows online. He even framed it as a “terrific marketing vehicle for the next generation of viewers.” This is not HBO. Opinions and analysis are not fixed entertainment programs. If you think people share things with one or two people, it might be time to investigate in more detail the nature, form, and function of social media. The second problem is related to the first. The value of the sort of unique content promised by The Athletic is that it cannot be obtained elsewhere. It is not just subscribers who may repost content. It seems unfathomable that the literary talent responsible for the pay-walled content won’t end up sharing their expertise in other ways. Many follow these insiders on Twitter and watch in real time as they comment on events or begin to flesh out future articles through interactions with and among their followers. Will Twitter use be curtailed? Will they self-censor on social media to keep it all behind the pay wall? It seems unlikely. #CBJ kids looked pretty good in a 7-2 rout vs. #Stars. Hope Hitch didn’t have money on the board. The No. 1 line was boss, Bittner huge. Sports radio is another question mark. For example, both Arpon Basu and Pierre LeBrun are on TSN 690 radio multiple times during the week. New hires Marc Dumont is a fixture on the morning show with Connor McKenna, and Mitch Melnick hosts the drive show from 3-7. Doesn’t this mean content that some will pay for will seep into conversations currently being funded by on air advertising? There is another challenge beyond the practical questions of subscriber numbers or how to manage the inevitable efforts to puncture the pay wall. How will these experts be part of the larger conversation when by virtue of the pay wall they “wall” themselves within their own eco system? I think opinion and analysis are made, reflected and commented upon by others. Sometimes they are reconsidered or revisited. They are part of a conversation that includes and involves fans. In fact, they depend in some ways on the reaction from the broader community. This challenge has both a literal and figurative dimension. The literal challenge is related to the practice of hyperlinking. Beyond the mercurial interest in linking your work to other credible sources, it serves as a means to cite the work of others. This practice is a form of online interaction that promotes a collegial environment among those who write about a team or a sport. Writers link and comment on the work of others they respect. Others do the same. This piece, for example, contains numerous links in which I demonstrate how I formed my views. Importantly, it shows where I have borrowed from the work of others. As a practical matter, the pieces linked to The Athletic would not be possible if the content was behind a pay wall. This leaves me in a dilemma. What if I disagree with eminently reasonable Arpon Basu on the Habs chances to make the playoffs? Can I link to his work to show where and why I believe differently? It is unlikely my editors are going to want my work to link to a pay-walled site. My readers (thanks, mom) may be unable to follow along. Policies and workarounds will be developed by serious publications. For some, this will mean summarizing pay walled content for non-pay walled sites. Others may try to link tweets, radio broadcasts, or other articles if they repeat valuable proprietary content. The dilemma remains. Will hockey writers be complicit in undermining this subscriber model simply by engaging in a conversation with experts writing for The Athletic? Figuratively, the pay-wall model seems profoundly undemocratic. There is something unseemly that those with means will get better access to analysis of their favorite teams. In one way this is just like pay per view sports packages on television, million-dollar arena box seats, and tickets for hockey games that go for $1,000 apiece. It does seem different somehow. It is not just sport that it is increasingly out of reach for the masses. Now the conversation about sport itself is at risk. It is ironic that the answer to click-bait, listicles, and auto play videos, is to embrace the market logic associated with privatizing content. Oh, Brave New World. All this is not to say The Athletic won’t succeed. They have attracted talent with large followings. They are promising a unique product. Perhaps they have internalized the lessons of the last sports publication that aspired to change the way sports was covered. Maybe they can keep overhead low, attract and retain subscribers, maintain quality, and continue to grow. If so, they will have proven their critics wrong and ushered in a new era. In many ways, this is good news for those who write about hockey. Hopefully, it results in other outlets prioritizing the quality of the storytelling, analysis, and opinion. No one would complain if they did not need to compete with the spectacle of bait and switch headlines. Indeed, few enjoy constantly fiddling to adjust to the latest update to the latest search optimization algorithm. The Athletic’s gamble represents an essential investment in journalism. It comes at a time when few seem willing to pay for credibility. 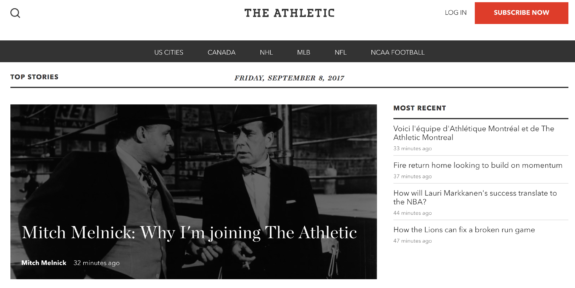 Questions remain about whether the unique content that will drive The Athletic can stay proprietary. This is because sports commentary can’t survive absent its inclusion in the broader conversation about a team, a sport, or an industry. Pay walls, by definition, limit the conversation to those who can pay for access. I predict people will reject this premise — both consciously and unconsciously. They will share content created behind a paywall with audiences who refuse to pay. In the short-term, this means that a small group of subscribers will fund the sort of team-based analysis many more will access by other means. Over the long-term, it is difficult to see how such a model can succeed. Providing a secure home for great sportswriters to do wonderful work is a laudable goal. I am not sure this is the best way to do it. Let’s hope I am wrong.